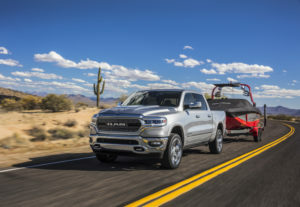 With a best-in-class V8 tow rating of 12,750 pounds1 and maximum payload of 2,300 pounds2, not to mention a high-strength steel frame and an available eTorque mild hybrid system, the All-New 2019 Ram 1500 is the most capable light-duty pickup truck ever manufactured by Ram Trucks. “All-New” is not to say we started completely from scratch, however. 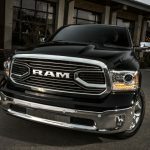 Though the latest Ram 1500 model has been reengineered from the wheels up, fans of previous generations will be happy to know that many of the truck’s most popular features remain available. Take for example the available Active-Level™ Four-Corner Air Suspension with load leveling. This class-exclusive1 suspension from the Ram Brand automatically lowers the truck at highway speeds to help reduce drag and increase efficiency. 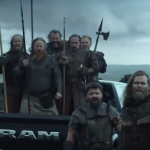 And that’s not all it does – watch the video below for a complete overview of how the Ram 1500’s available Active-Level Four-Corner Air Suspension aids in both comfort and performance. Want to experience the Active-Level Four-Corner Air Suspension in person? Visit your local BusinessLink dealership to schedule a test drive today! 2When properly equipped. See dealer for details.